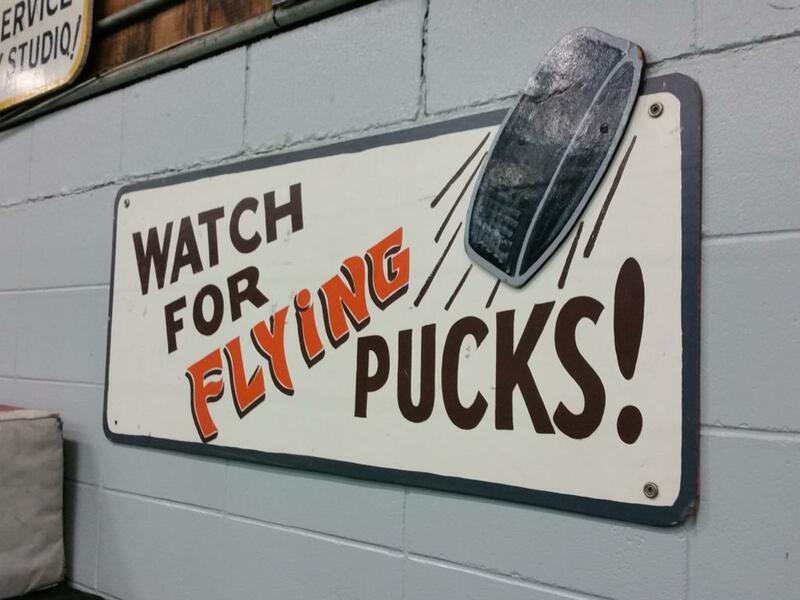 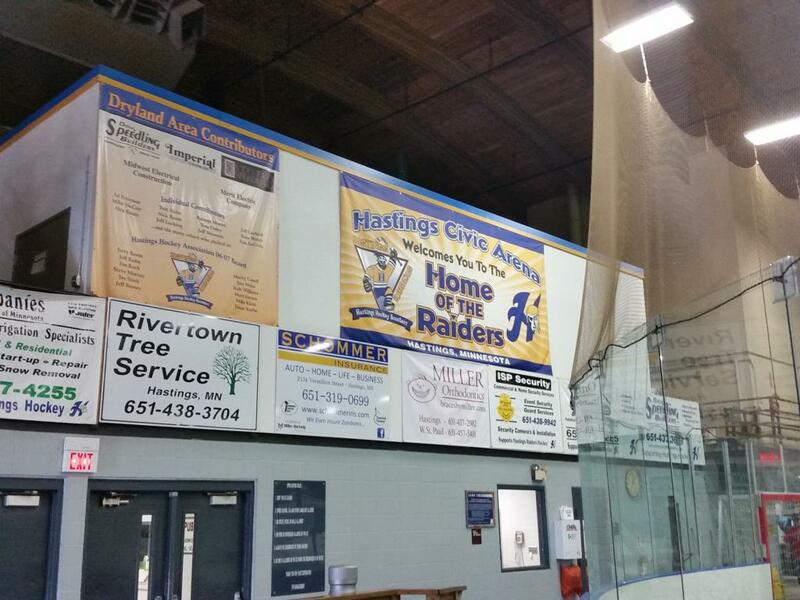 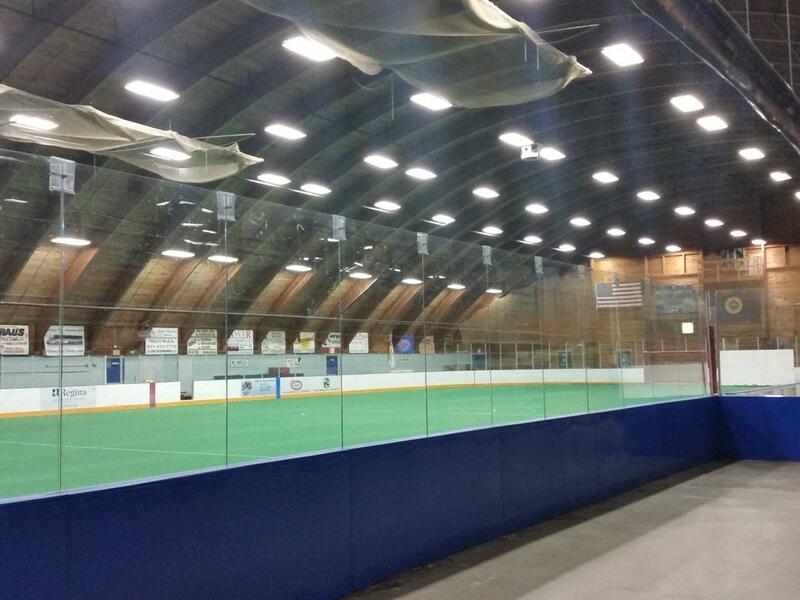 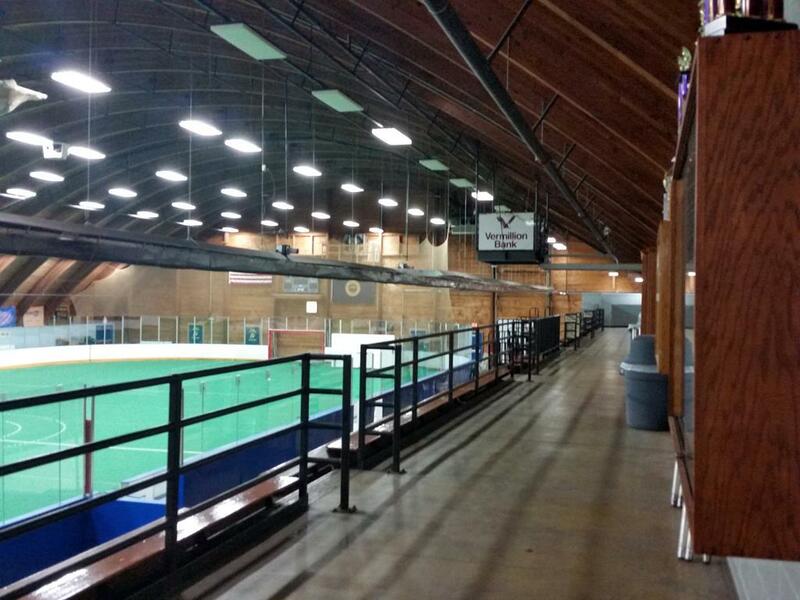 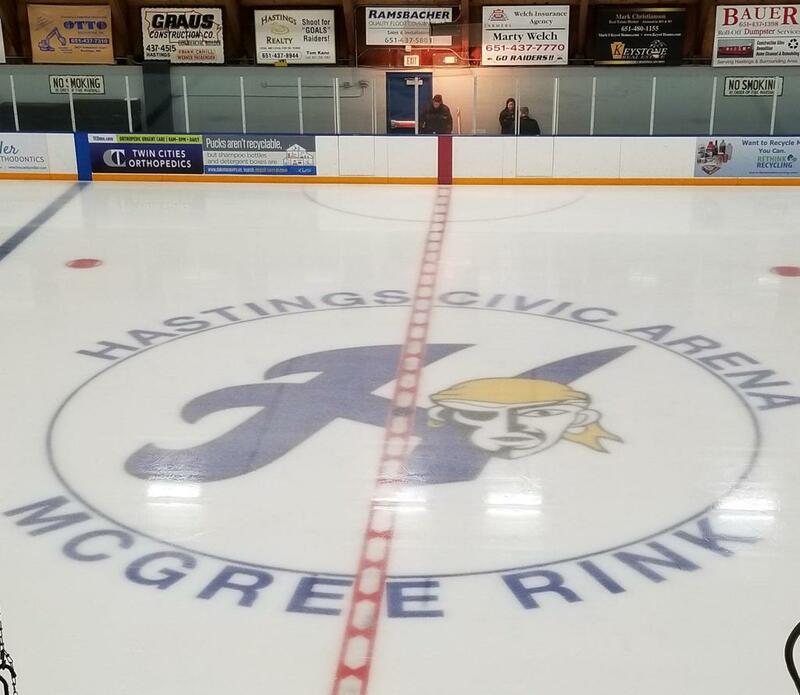 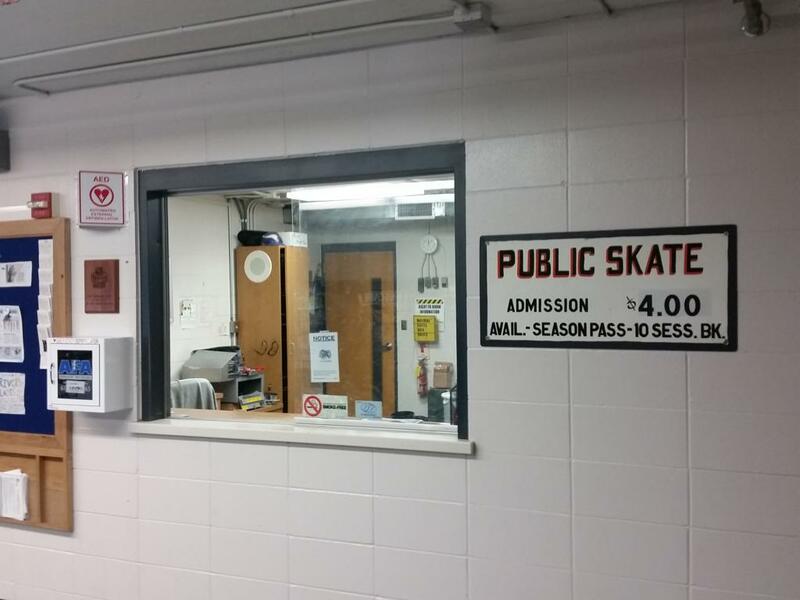 Hastings Civic Arena is a two sheet facility located at 2801 Red Wing Blvd. 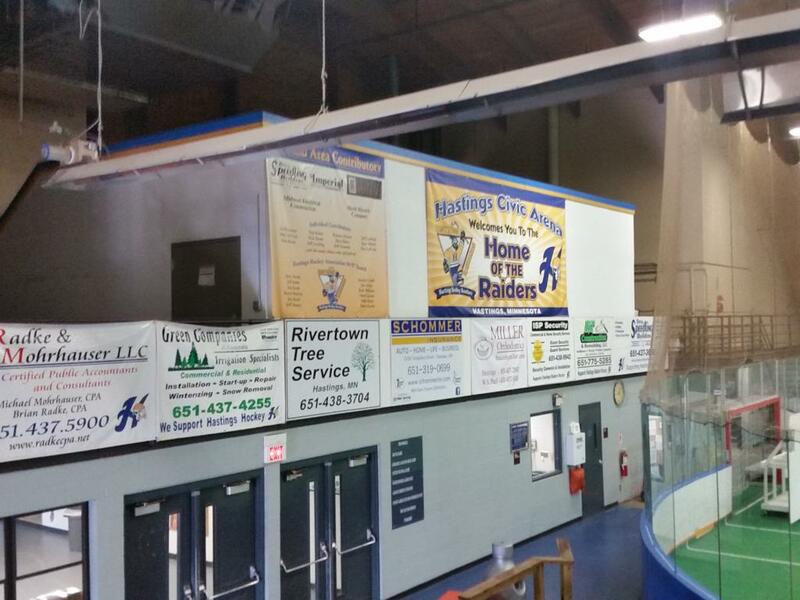 in Hastings, MN. 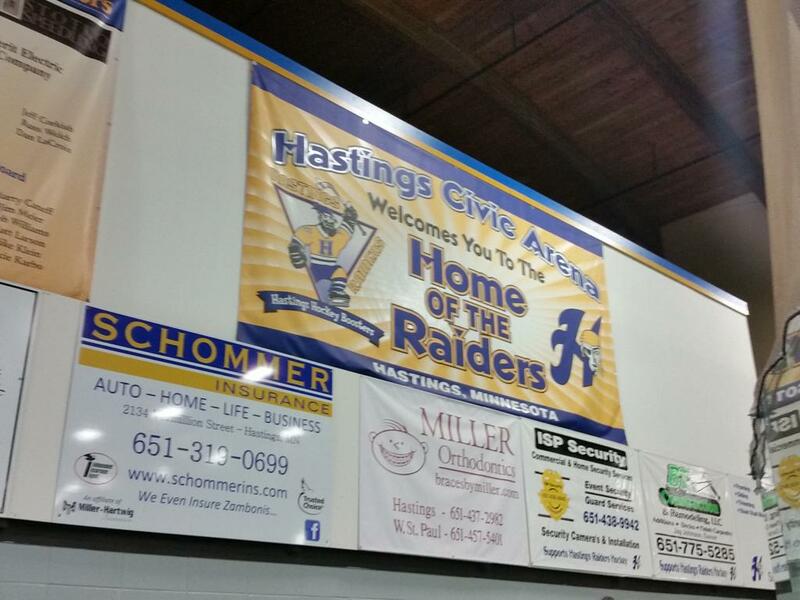 The Civic Arena was erected in 1974 initially as a one-sheet facility and has seating accommodations for 1555 spectators to cheer on this historic Mississippi river towns Raiders hockey teams. 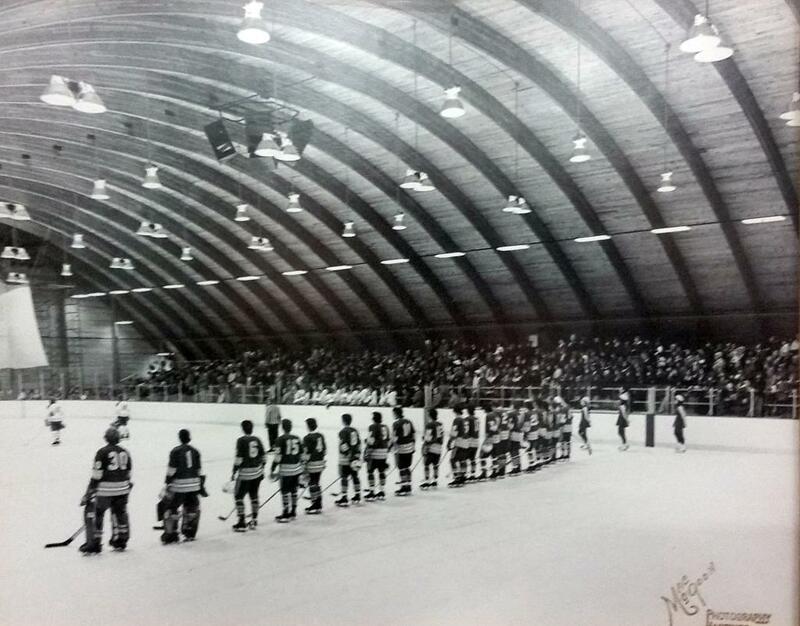 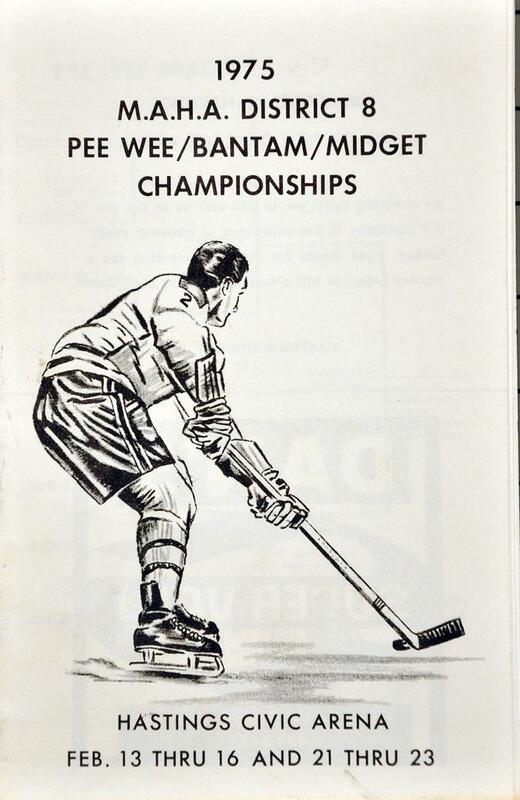 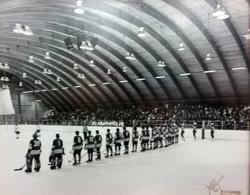 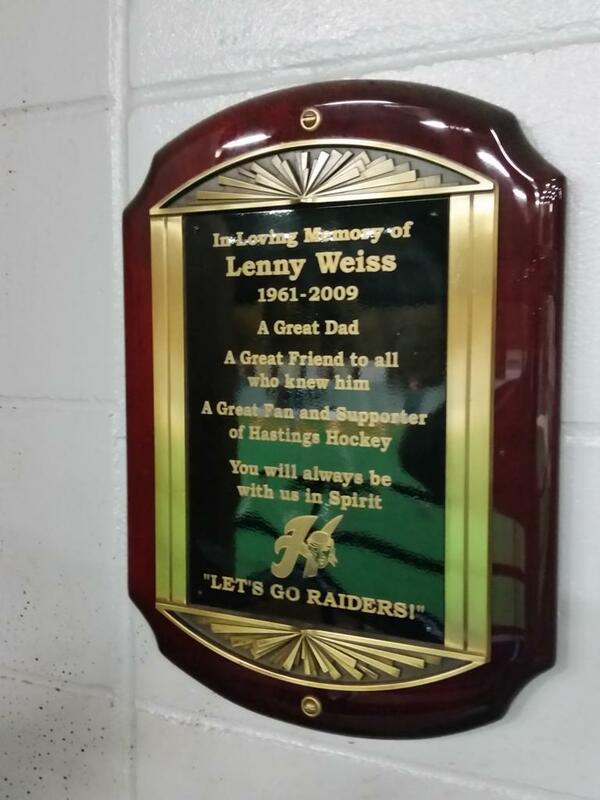 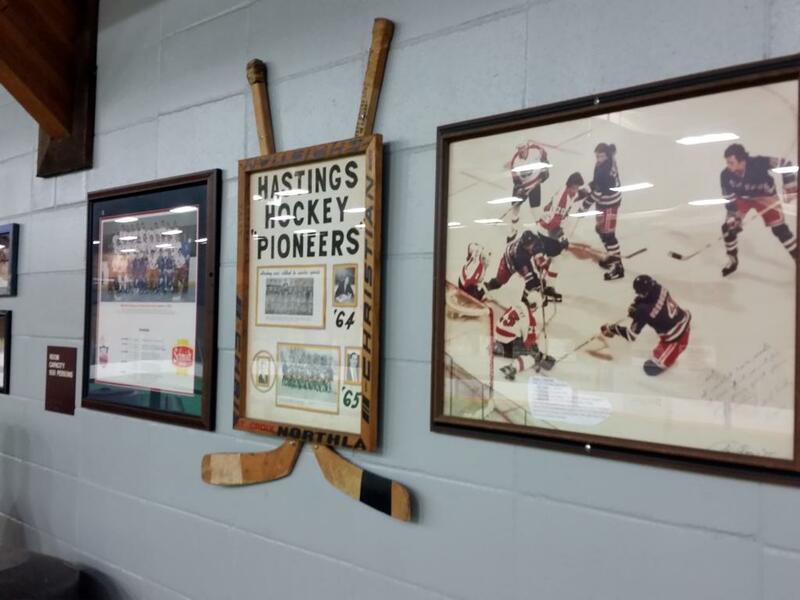 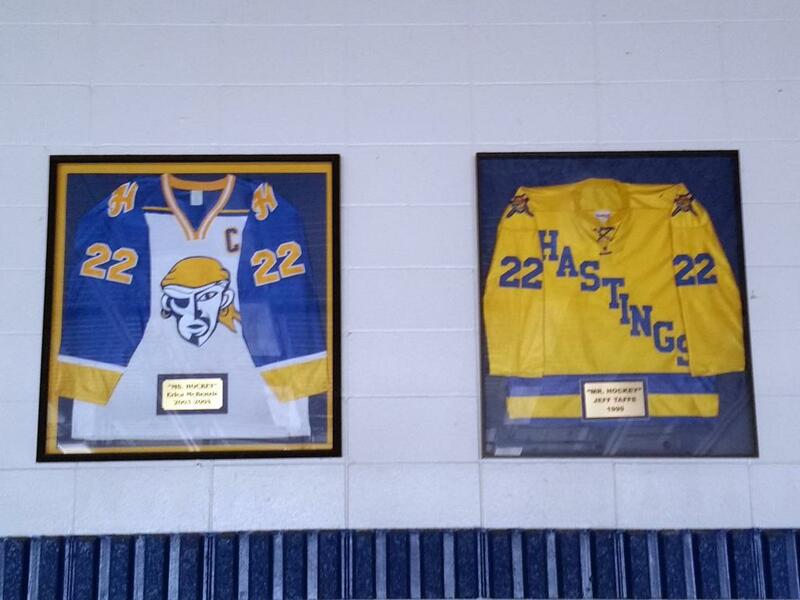 The inaugural Raiders High School game was played January 20, 1975 vs. West St. Paul in which Hastings won 6-4. 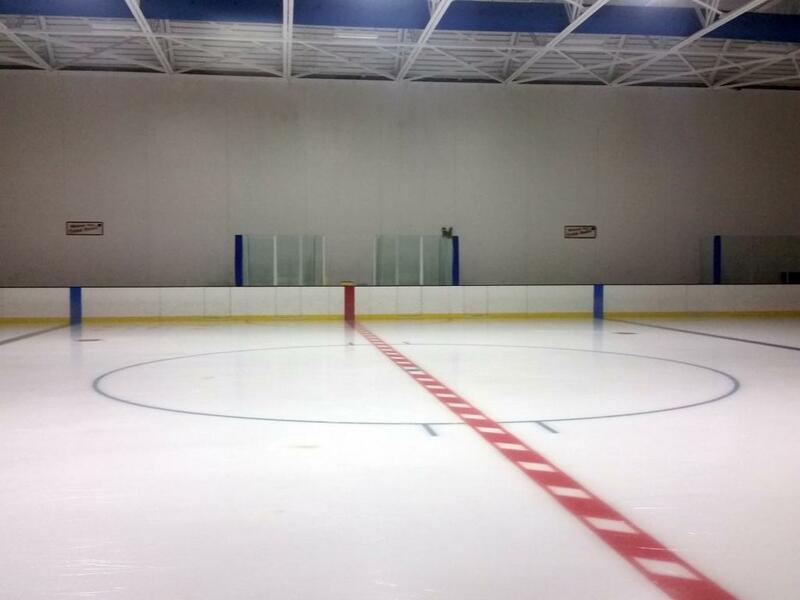 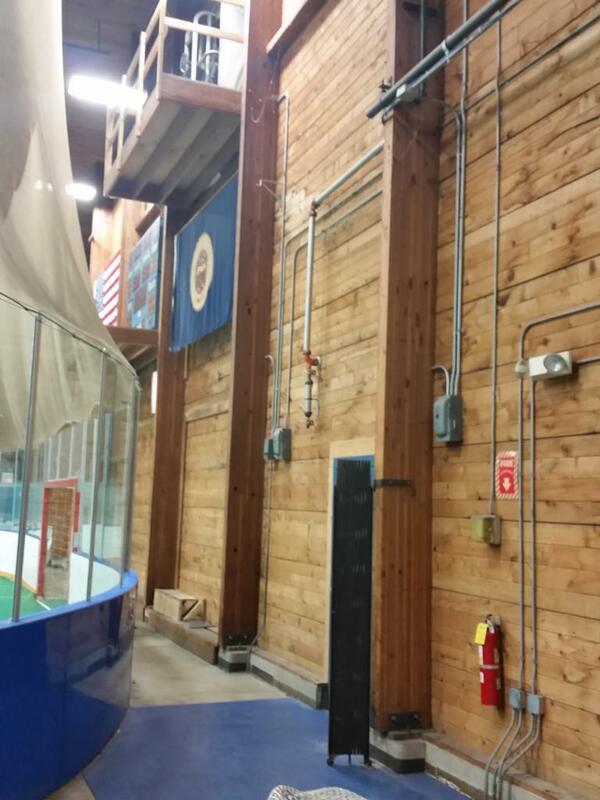 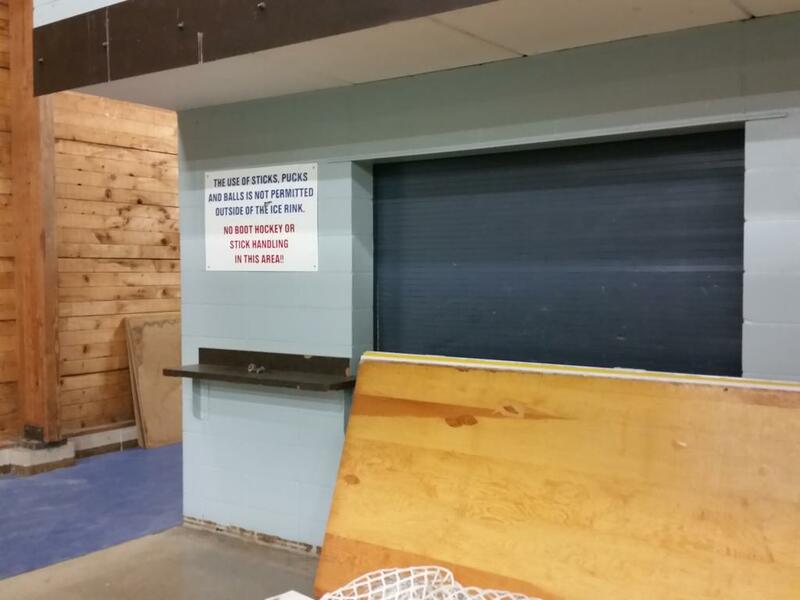 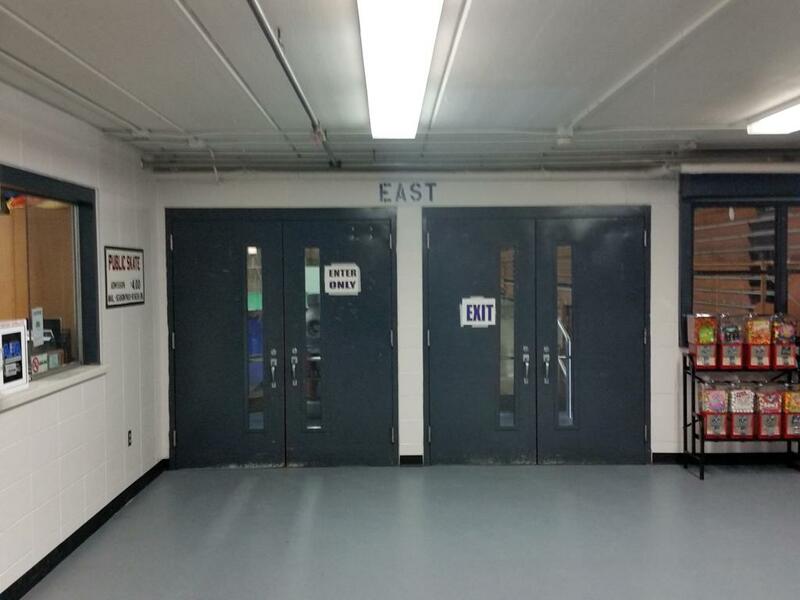 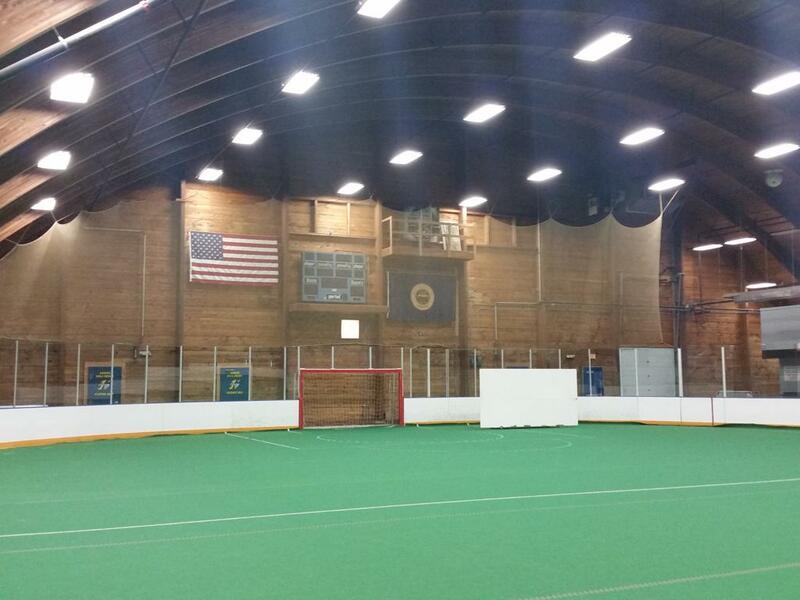 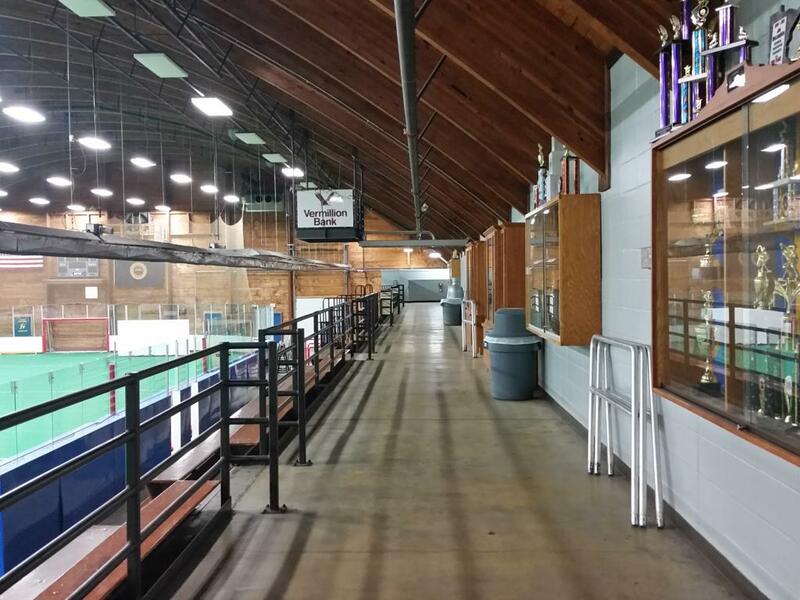 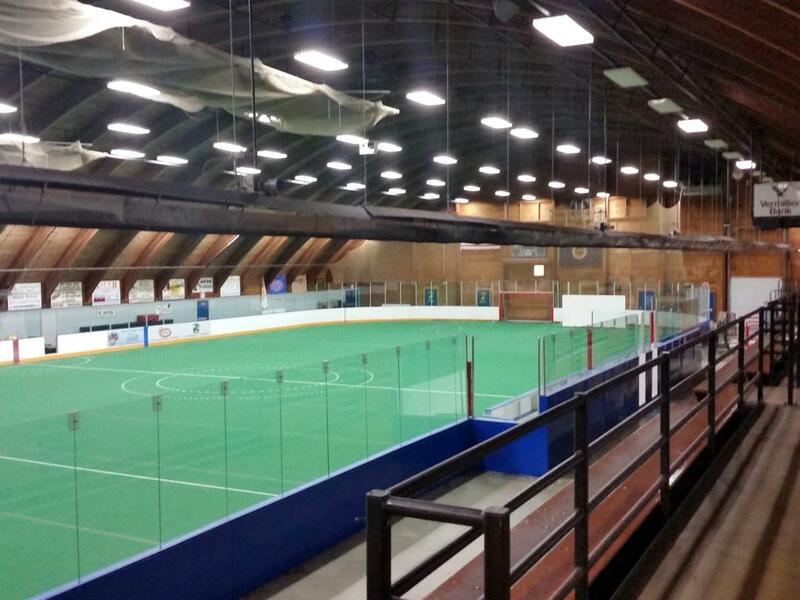 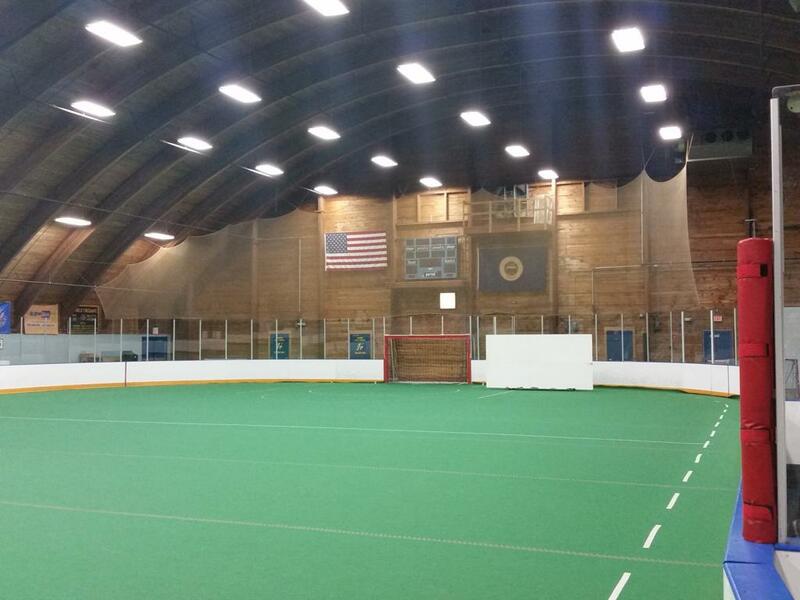 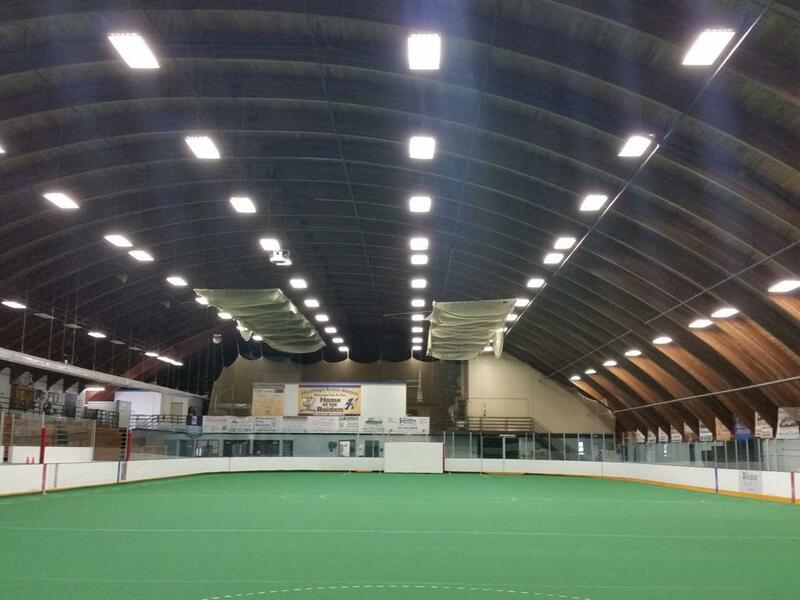 The main rink initially called East Arena - until it was renamed after long-time arena Manager on December 19, 2015 McGree East Arena (in the namesake of Jim "Sliv" McGree), has a classic barrel shaped roof that reminds us of New Hope Ice Arena immediately upon entering the building with the aged wood from the interior showing, and has gym-style tuck away bleachers that can be pulled in and out for in season, or off season activities within the building. 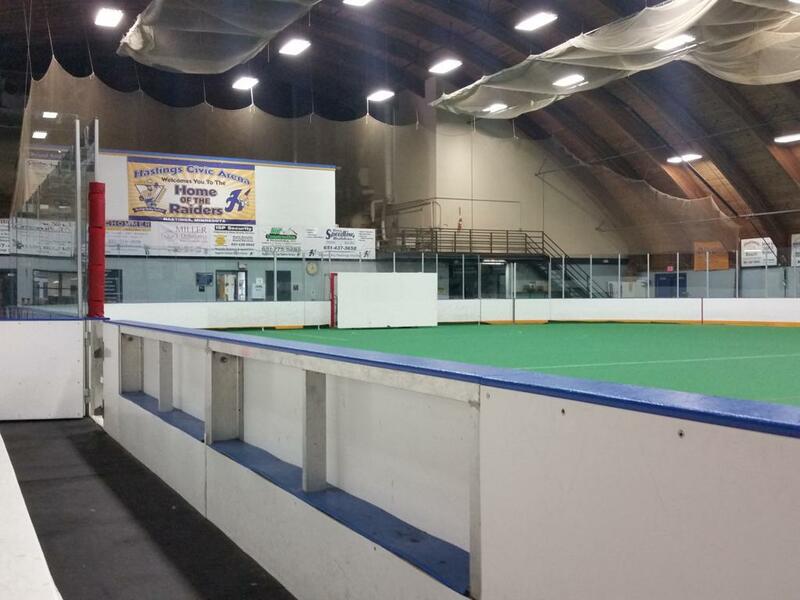 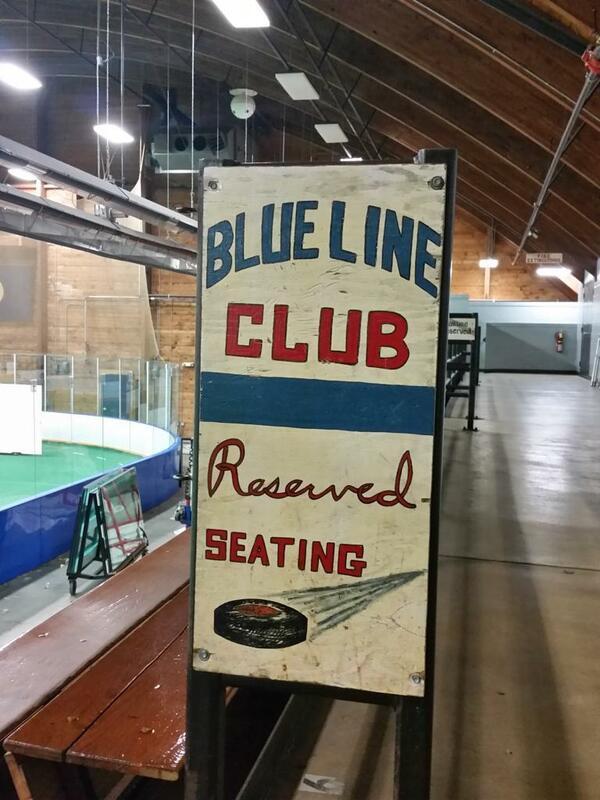 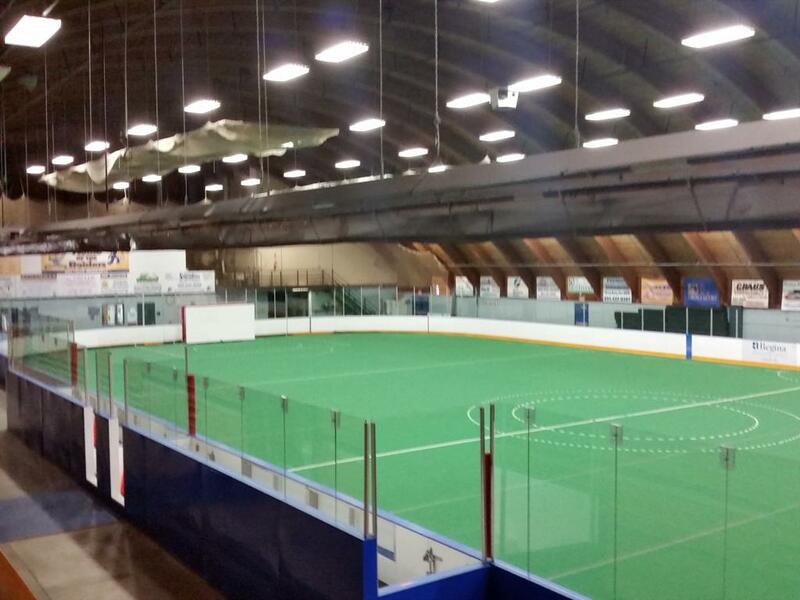 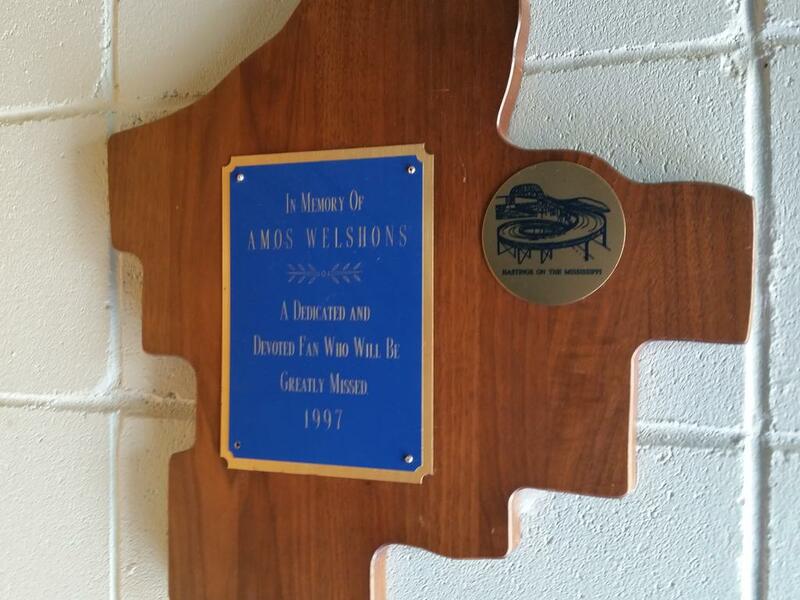 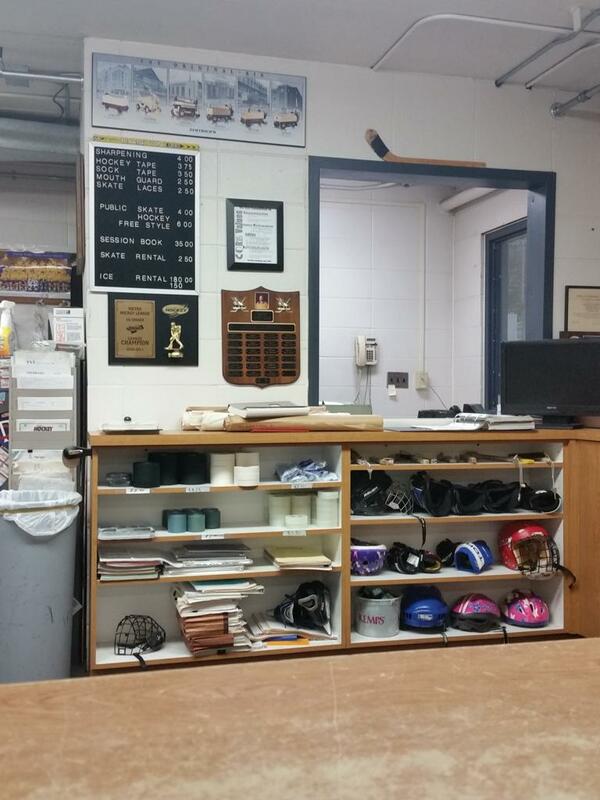 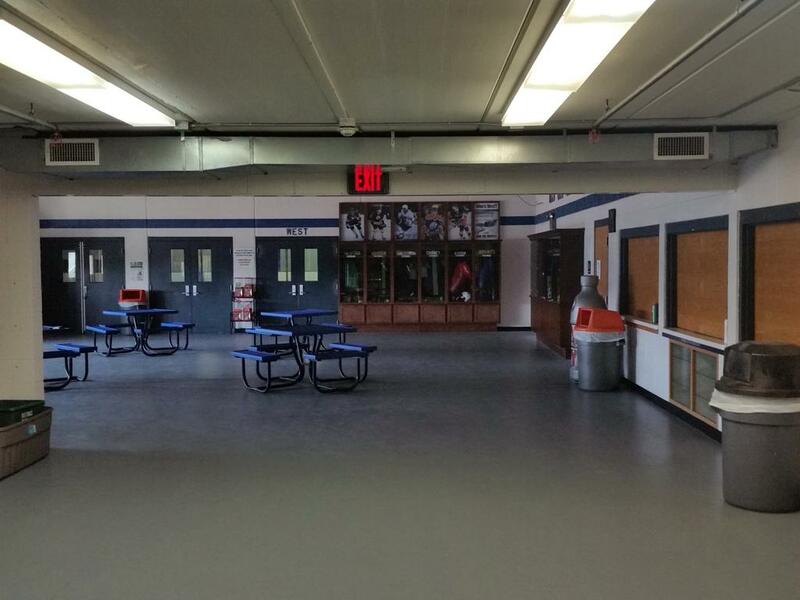 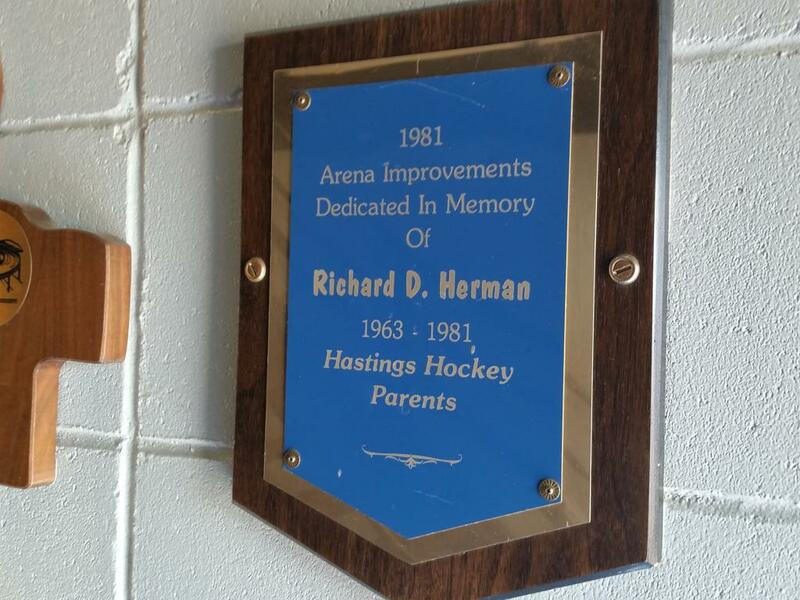 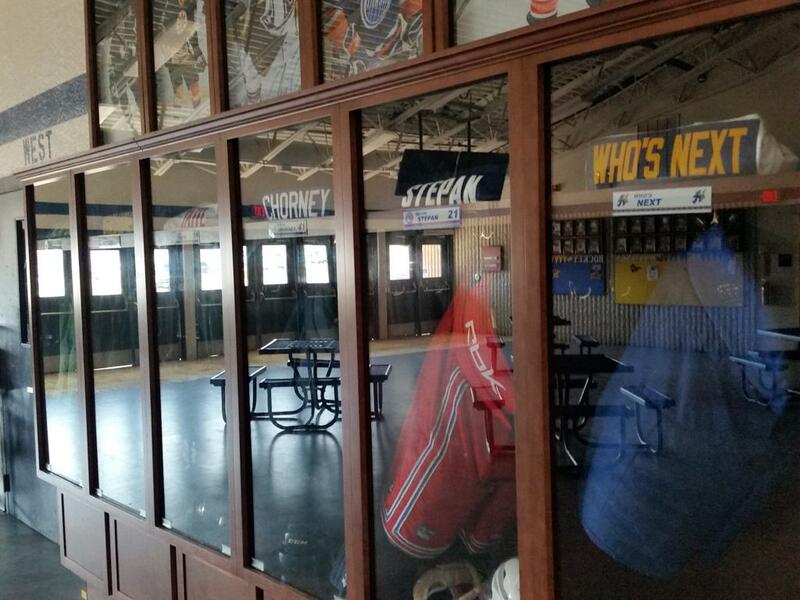 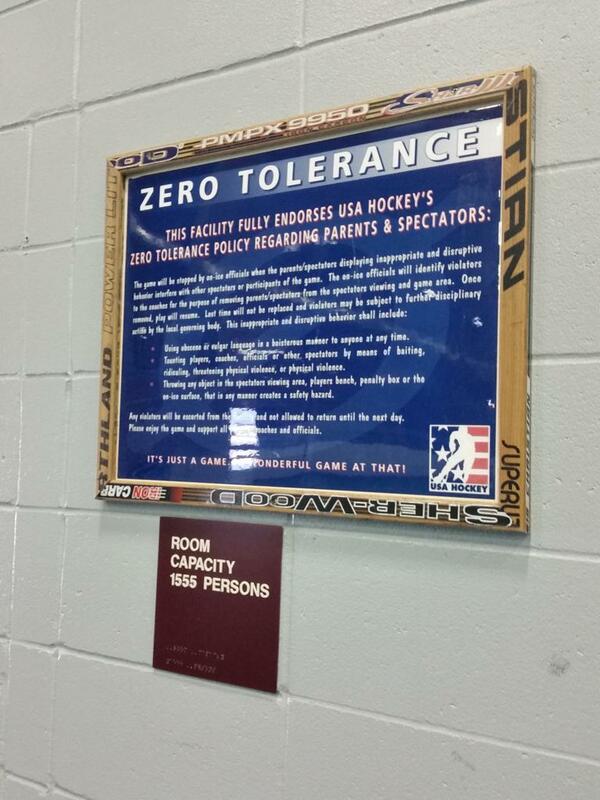 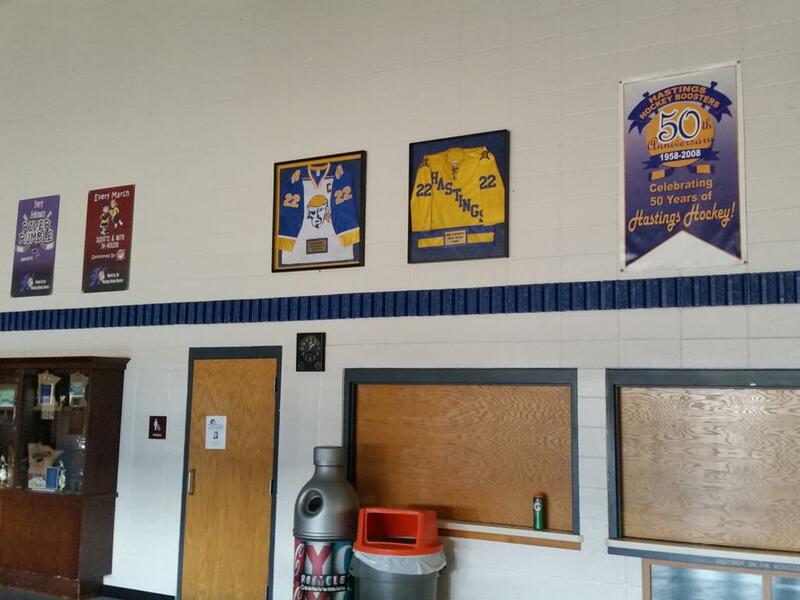 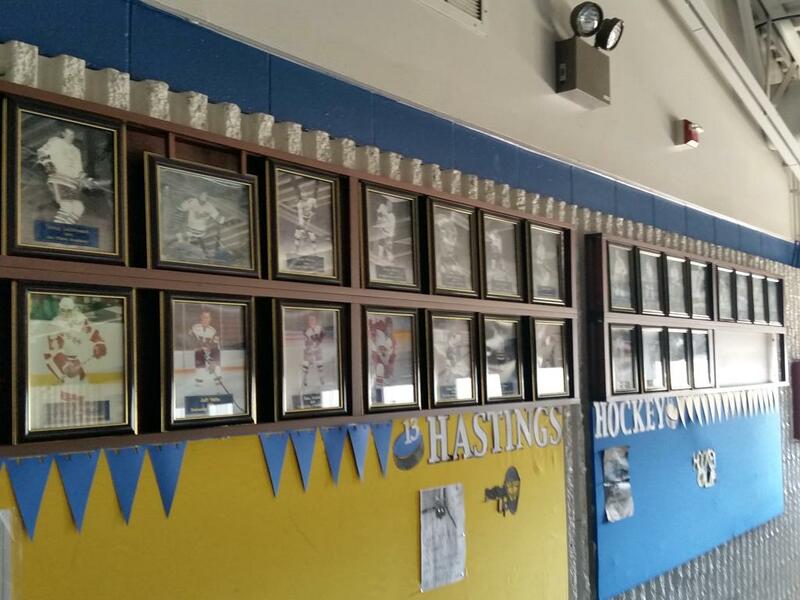 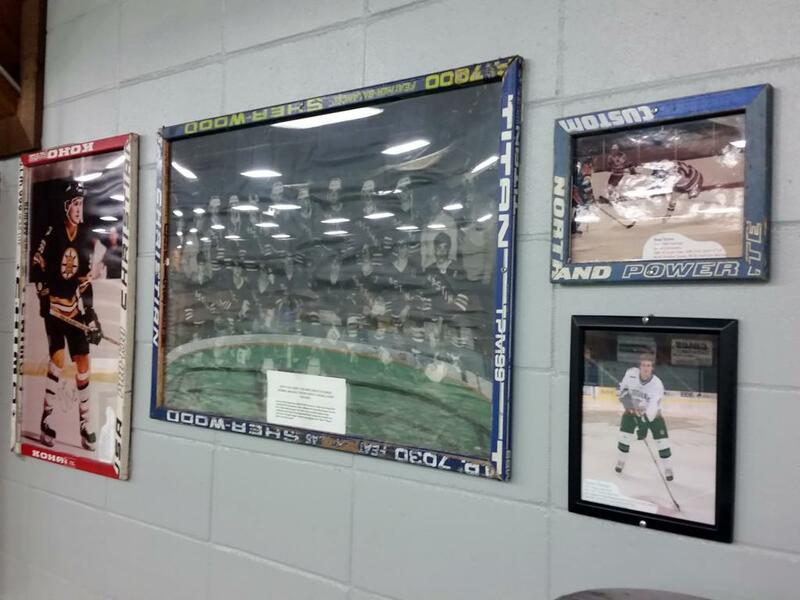 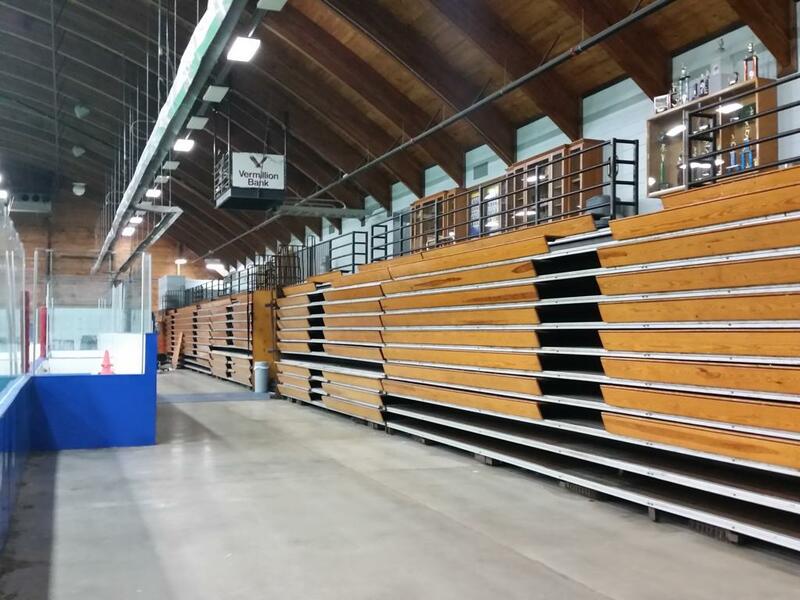 The adjacent arena (West Rink), and new spacious lobby entrance was added in 1997 with seating for 500 to meet the growing demands of the Hastings Hockey Association. 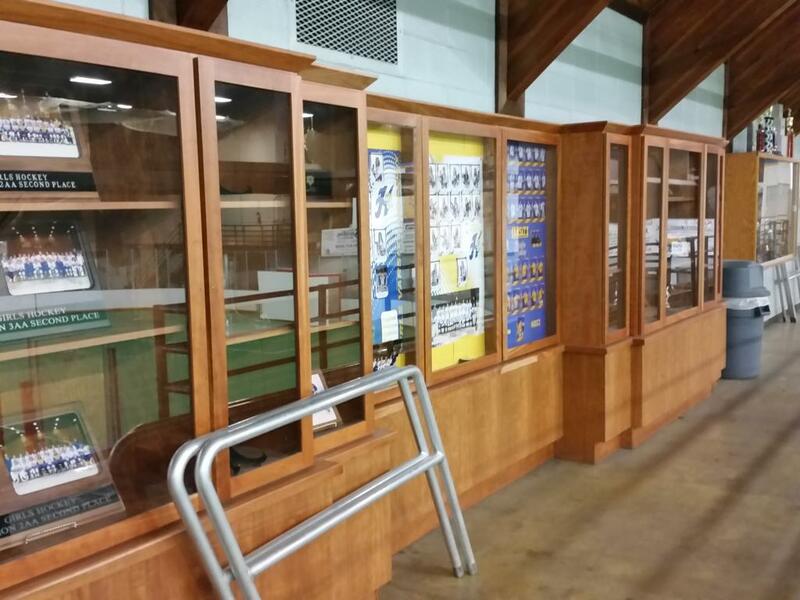 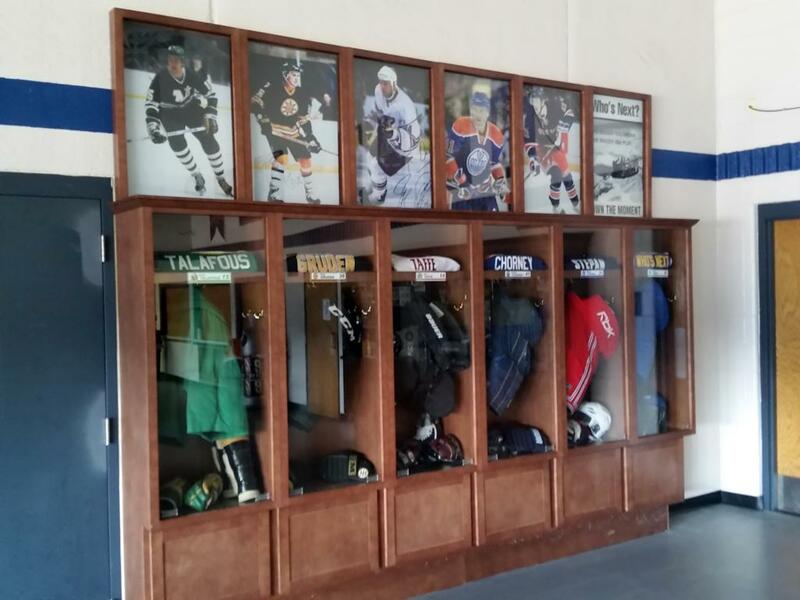 Featured in the lobby is six beautiful NHL style locker stalls featuring all of the proud NHL alumni that once donned the Raiders Royal Blue and Gold uniforms, and the last one keenly labeled as "who's next". 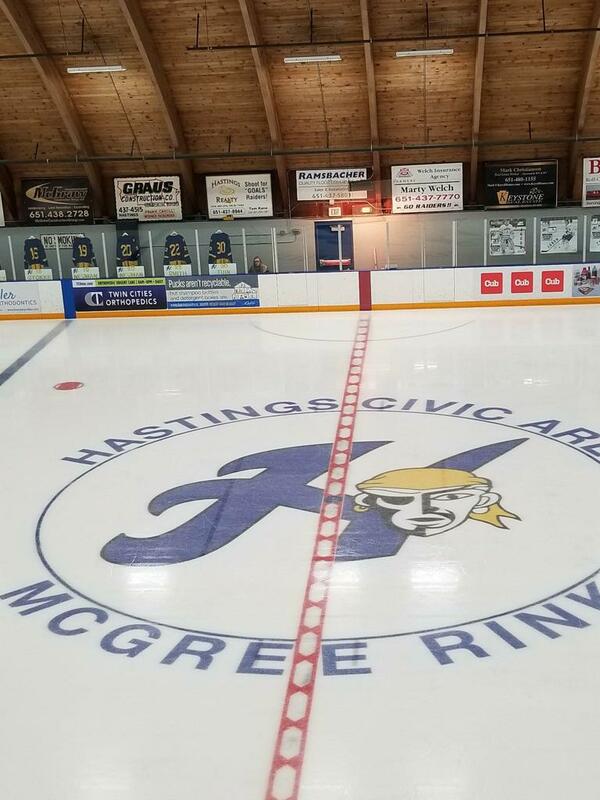 Behind the two rinks, on the property, is a nice outdoor natural ice sheet with warming house for a classic outdoor game under the sky.